Christmas is a tough time for many low-income families. Parents often lack the resources to provide gifts for their children. Most charitable organizations try to meet this need by adopting families for Christmas, and delivering wrapped presents to the home just before the holiday. A generous and well-intentioned approach, it can also have unintended consequences. 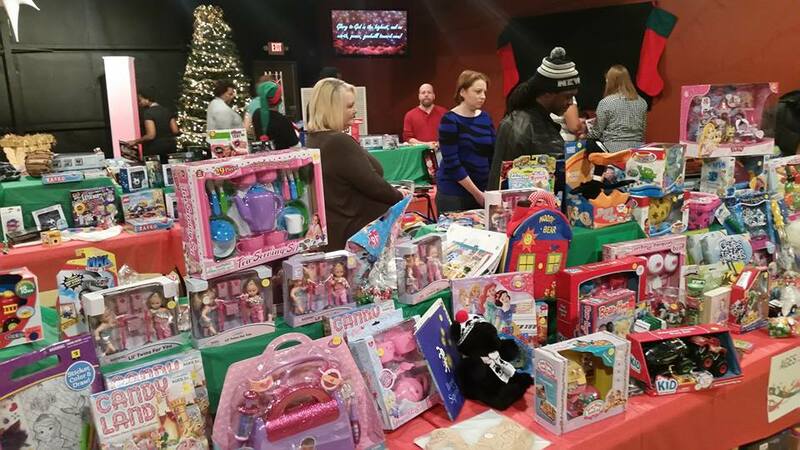 Instead, Peacemakers operates a Christmas Toy Store. For this outreach, local churches, organizations, and individuals donate new, unwrapped toys to Peacemakers, with price tags still attached. Peacemakers then reprices the items at 80 percent off. Invitations are sent to local low-income families (based on school social worker and local agency referrals), and those families come to the “store” to shop on two days in December. There are also free wrapping stations so parents can wrap the gifts they have purchased. As a result, parents leave with presents for their children that they have carefully selected, purchased and wrapped. Through this model, we are able to empower. The small amount of revenue that is produced through the store goes directly back into other Peacemakers programming. If you are willing to volunteer, please call Donna Clifton or April Wade at 252.212.5044. Thank you for partnering with Peacemakers to make this a great Christmas for our low-income children AND their parents! MOST AGES: Any electronic item, scooters, educational items, bikes, art kits, science kits, sports equipment or team items. © 2016 Peacemakers of Rocky Mount. ALL RIGHTS RESERVED.